On Friday April 29, 2016, the Center for New York City Law at New York Law School hosted the 133rd CityLaw Breakfast. The event speaker was U.S. Attorney for the Eastern District Robert Capers. 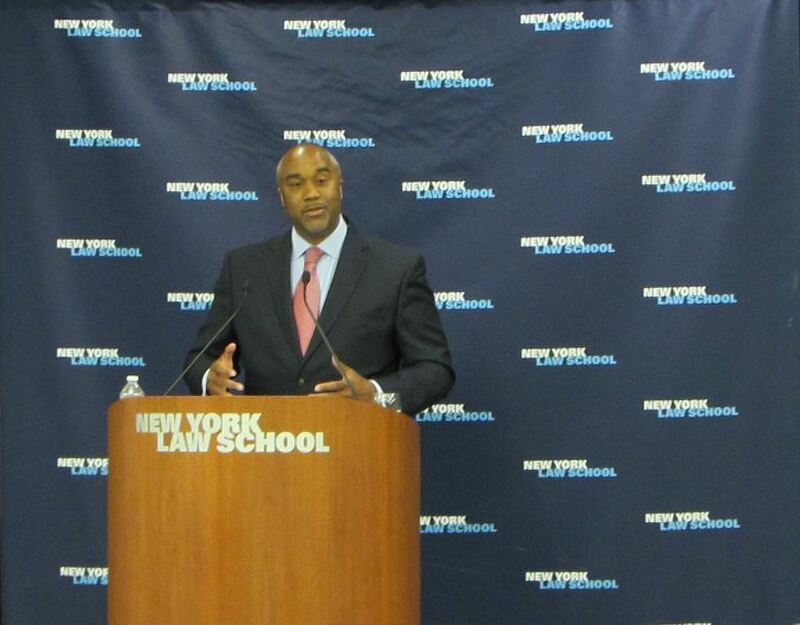 U.S. Attorney Capers was welcomed by Anthony Crowell, President and Dean of New York Law School, and introduced by Ross Sandler, Director of the Center for New York City Law. He discussed the numerous programs and initiatives implemented by the U.S. Attorneys Office for the Eastern District of New York to protect Brooklyn and Long Island from violent crime. U.S. Attorney Capers focused specifically on the programs administered by his office that aim to target and prosecute violent gang members and prevent students from joining gangs and committing acts of violence. He stressed the importance of assisting released felons who have served their time in re-entering society and preventing them from returning to the same conditions that led to their incarceration. U.S. Attorney Capers emphasized the vital role played by the community in helping to keep the streets free from violent crime and called upon the community, including private companies, non-profits, and governmental agencies, to join forces with his office in furtherance of this mission. He finished by taking questions from the audience.